An interview with Webster the Netherlands director Jean Paul van Marissing featured in Hello Zuidas discusses the threat of cyber crime and how Webster's cybersecurity program will be offered in the Netherlands at the WTC Amsterdam location beginning in 2016. "It’s in the papers all the time: stories of hacked company computer systems and sensitive government data leaked by cybercriminals. 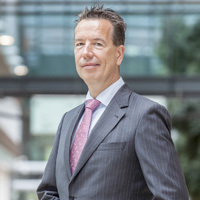 Lots of employers assume it will never happen to them – until it does and your entire business is paralysed for days, or even weeks, on end.‘It’s only after their houses are burgled that people start thinking about locks and alarm systems.Unfortunately, there is a similar situation as far as cybercrime is concerned," says Jean Paul van Marissing, director and professor at Webster University the Netherlands. Read the full article [PDF] via the Webster the Netherlands site.